12 year old. 40% Proof. 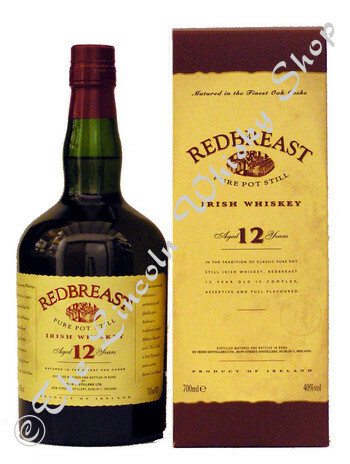 Redbreast 12 year old is one of those fabulous whiskeys which initially does not impress but, after a few seconds of searching, blows you away! It comprises of vatted Jameson whiskeys & is bottled by the Irish branch of Gilbey's. The whiskey is classic , pure pot still & is complex, assertive & full of flavour. It is said to be hard to get but we regard it as one of our mainstay whiskeys.